CBSE Sample Papers For Class 10 - Why practice? CBSE Sample Papers For Class 10 – Why is it important to practice. The mere mention of class 10 board exams sends shivers down every school student’s spine. In fact, almost every one of us remembers our class X exams distinctly as it’s considered to be the first significant milestone in our education journey. The class 10 results also lay the foundation for our future course of action regarding the choice of further education or the pursuit of any professional degree. With so much importance attached to the CBSE Class 10 examinations, it’s critical that you are equipped to do well in them. In this article, we’ll focus on the importance of CBSE Sample Papers for Class 10 and why every student must practice them. One of the surest ways to succeed in your class 10 examination is to practice its sample papers or previous years’ papers as they provide the accurate exam simulation. Solving papers may seem like a tedious task, but trust me, it’s worth the effort as it gives you tons of confidence and rids you of your fears and anxiety on the exam day. Solving sample papers makes for an excellent trial run for the perfectionists as well as the nervous souls who suffer from exam blues. After months of learning and practicing, solving the CBSE sample papers for class 10 tests all your hard work and gives you a reality check with regard to your preparations. While it is overwhelming to know that almost 15 lakh students appeared for the CBSE 10th board exams this year, the only paper that should matter to you is your own. So, let’s move on to why you should solve the CBSE sample papers for class 10. Here we go. Quick Revision of a Vast Syllabus: Sample papers contain important questions that have either appeared in earlier class 10 examinations or are a part of the relevant syllabus. So, you need not go through all the pages of your books after your preparation. Solving sample papers gives you a thorough revision of the important sections of all topics in the subject. Time Management: Sample papers are set according to the time required to solve them. Solving sample papers gives you an idea about which sections of the paper are time-consuming and which are relatively easier. You can choose the way you approach the paper and make a plan to tackle the areas that require better time-management. Speed & Accuracy: Trust me, the most crucial factor in any examination is your ability to finish in time and answering with accuracy. Solving the CBSE sample papers will increase your precision and enable you to curb the errors, thereby resulting in an overall higher score. Exam Simulation: You get the invaluable experience of the exam environment. You must try to solve the sample papers within the stipulated time to get the actual feel of the exam so that you’re bustling with confidence on the exam day. 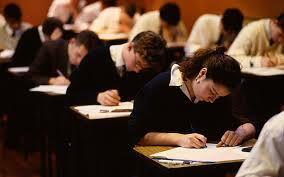 Exam Pattern: CBSE Sample Papers for class 10 are set according to your class 10 syllabus. Solving them will make you understand the type and pattern of the frequently-asked questions, thereby increasing your comfort level with the actual board question paper. Comprehensive Preparation: Mock papers cover all the topics of any given subject. So, they help you master all topics and give you an edge over others in the examination. Strengths & Weaknesses: Last but not the least, when you practice sample papers, you get a reality check of your preparation status. You can also identify the sections where you took more time and the ones where you sailed through. Knowing your strengths and improvement areas allows you to adopt a focused approach with regards to your preparation. So, now that you know the various benefits of solving CBSE Sample Papers for Class 10, you know what your next move should be. That’s right, set the clock and practice as many sample papers as possible. Click here to know everything about the CBSE Board Exams. Hollywood front-bencher, caffeine addict, Friends/Sherlock/Castle fanatic, curious day dreamer and an ambitious writer!